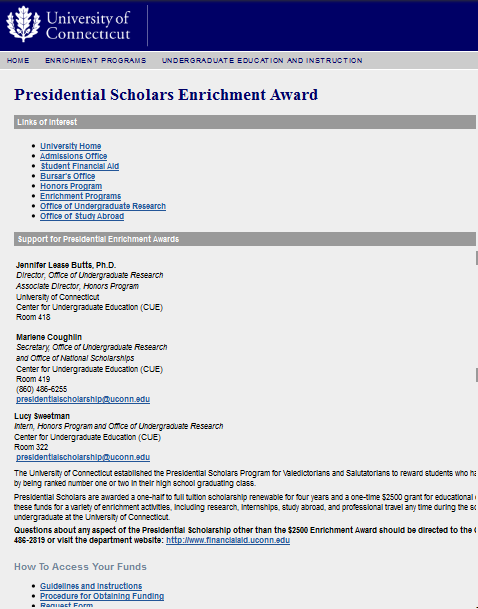 University of Connecticut Enrichment Program runs 7 separate websites, encompassing a wide variety of student services. In 2012 I managed a complete redesign of all sites. 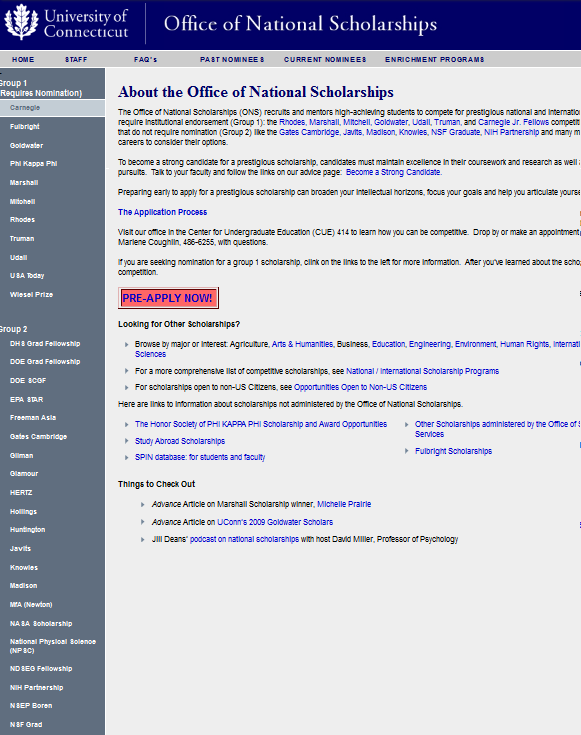 Original websites were classic table-based HTML with long and complex menus. Text was dense, and navigation was difficult. Often navigation was table-based within the content. No calendar feature; all events were entered by hand multiple times for each site and university calendar. No news or RSS feeds. No sharing between sites other than manual entry. No integration of social media for most sites. The sites have a cleaner, easier to read design, with images used to create a friendlier feel. Dynamic menus have multiple levels, rather than one long list. Calendar is fed from the main university calendar, so events are only entered once and automatically post to appropriate website.